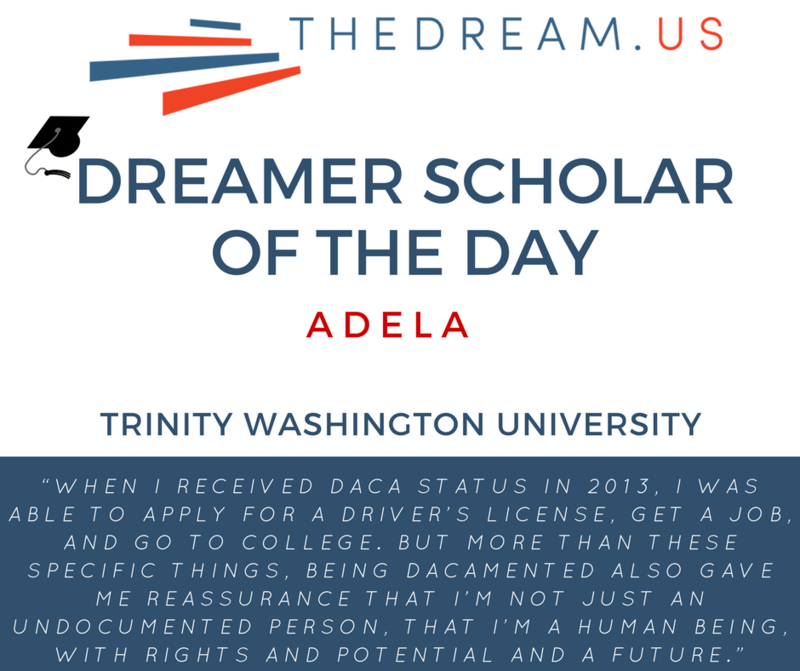 When I received DACA status in 2013, I was able to apply for a driver’s license, get a job, and go to college. But more than these specific things, being DACAmented also gave me reassurance that I’m not just an undocumented person, that I’m a human being, with rights and potential and a future.Education is the most valuable resource for DREAMers. If we don’t educate ourselves we won’t be able to fully become part of this country. Knowledge is power! Everyone deserves to learn and expand their horizons. We have given so much of ourselves to obtain a high school education, and we should be able to continue our educational journey. We are the future for the Latino community. DREAMers want to show their parents that their sacrifice was worth it.I am the oldest of six children, and I am the only one of my siblings who was not born in the United States. When I was just 1 years old, my dad left my mom and me in Mexico to establish a better life for us in America. It took him a year to save enough money to bring us to the US, and my parents left everything they had behind in Mexico to live the “American Dream.”My experience growing up in America was not unpleasant, though it was initially difficult. At first we had to move around quite a bit, living in California for about a year, and then moving across the country and settling in Atlanta. I learned the value of being thankful for the hard work my parents do to support us. School was a grand opportunity for me, and I managed to make good friends and receive good grades. I was involved in organizations like Just Us Girls Inc, and played on the soccer and lacrosse teams, and was a member of the JROTC. I found out when I was about fifteen that I was undocumented. My mom told me for the first time that I was born in Mexico. Honestly, I was clueless about what it meant to be undocumented — it wasn’t until I got a little older that it really became clear. The first real challenge I experienced was when I wanted to continue my education. Very few colleges provide funds or scholarships for undocumented students. Then, one day while scrolling through Facebook, I stumbled upon TheDream.US scholarship information. I applied right away, and received a Scholarship called the Opportunity Scholarship. If it weren’t for the scholarship, I would probably be working in place that I don’t like, getting payed an unfair wage. Or I would be married already with a bunch of kids. I wouldn’t have had the future that I wanted. I plan to use my education to start a career in the justice system. I want to give the Latino community a voice in the justice system and help people who are striving for acceptance to be a part of the U.S. I also would like to help educate DREAMers’ parents and empower them to continue growing, learning and bettering themselves. I would encourage other DREAMers – and every young person – to never give up and to continue pushing forward. And to know that, while life will throw many obstacles your way, if you keep fighting it’ll be worth it.